Today, September 10, 2013 at 10:00 AM PST/1:00 PM EST, Apple will finally be announcing the new iPhone 5S on their live iPhone 5S event and you can watch a live stream video of new iPhone 5 live event here. The event will take place in the Apple Campus in Cupertino, California. Apple CEO Tim Cook will likely be unveiling the new iPhone 5S and announcing the iOS 7 release date. There are rumors of two new iPhones, and one of them having a gold back. You can watch a live stream video of the Apple iPhone 5 event below starting at September 10, 2013 on 10:00 AM PST/1:00 PM EST. To check what time that is in your area, click here. The newly announced significantly re-designed iOS 7 software that Apple announced in WWDC today, is now available for download. iOS developers can download iOS 7 beta from the iOS Developer center at https://developer.apple.com/devcenter/ios/. Currently Apple has only released iOS 7 beta download for iPhone only. iPad and iPod touch links will be added later. If you're not an iOS Dev, you'll need to wait until fall to download iOS 7 final release. To see a full list of new features on iOS 7, feel free to check the Apple site at www.apple.com/ios/ios7/. Update: It appears Apple's iOS Dev Center is currently down, likely due to all the traffic from everyone trying to download iOS 7. If it doesn't load for you, you'll need to try later. I'll update this post once it's back up. Update #2: iOS Dev Center is back up, you can now download iOS 7 beta! Today is the day Apple will be holding their annual Worldwide Developers Conference. The event will take place at 1:00 PM EST/10 AM PT. Apple is expected to announce new MacBooks, and details of the new iOS 7 software. No new iPhone is expected to be announced in WWDC 2013. Apple will be streaming a live video during WWDC 2013 at http://www.apple.com/apple-events/June-2013. Only Apple users using Safari 4 or later on Mac OSX 10.6 or later will be able to watch the live stream. Apple TV users will also be able to view the WWDC 2013 live stream from their Apple TV. UPDATE: The live event has begun! Today the evad3rs team finally released the long awaited Evasion jailbreak for iOS 6.1. This is an untethered jailbreak, which means that it doesn't need to be jailbroken on every reboot. Read on below to find out how you can jailbreak your device with the Evasion jailbreak. 1. Make sure you back up your iPhone first. You can either do that through iTunes or iCloud. 2. Download iOS 6.1, restore your iPhone to iOS 6.1, and restore your backup. 3. Download the Evasion Jailbreak and follow the on-screen instructions. Today Apple released the iOS 6.1 download for iPhone 5, iPhone 4S, iPhone 4, iPhone 3GS, iPad (third and fourth generation), iPad mini, iPad 2 and iPod touch (fourth and fifth generation). To update to the iOS 6.1 software, iOS users can go to Settings -> General -> Software Update. Below are the direct download links for iOS 6.1 software. You can update your iOS device through iTunes using these IPSW files. 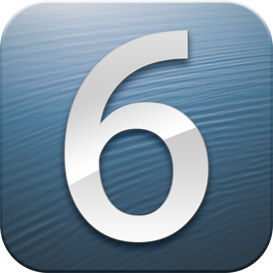 No jailbreak for iOS 6.1 has been released yet, but there may be an untethered iOS 6.1 jailbreak released very soon. Former members of the iPhone Dev Team (planetbeing, pimskeks, MuscleNerd, and pod2g) have formed a group named "evad3rs" @evad3rs on Twitter, so make sure to follow them for announcements on the jailbreak. We'll be posting details and a how-to guide here as well once the jailbreak is officially released. Feel free to follow us on Facebook and follow us on Twitter. 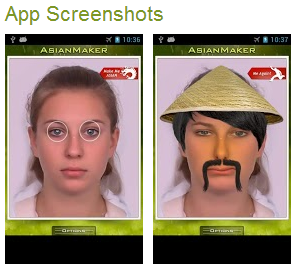 An Android smartphone app called Make Me Asian was finally removed from Google's Play Store today. This application allowed users to turn their photos into stereotypical Asian caricatures. The creator of this app, "KimberyDeiss", had created other apps like Make Me Russian and Make Me Indian which were also removed from the Google Play Store. On November 15 Peter Chin, a Washington D.C. pastor had organized a petition at Change.org which received over 8,452 signatures and Twitter campaigns that petitioned Google to remove the Make Me Asian App. It took Google over two months to finally remove this app. Peter Chin is celebrating the deletion of the app and he also told NPR, "I am deeply thankful to those who realized the danger of these stereotypes entering the mainstream and spoke out against this app, but I am also appreciative of Google, who listened to our concerns and acted accordingly." Unlike Apple's App Store which requires developers' apps to go through an approval process, Google Play Store allows developers to immediately publish their app, but does allow users to report any offensive or malicious apps for deletion. 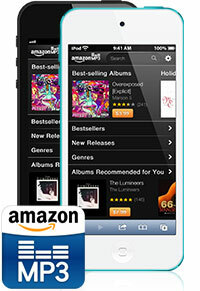 Today Amazon announced the launch of it's Amazon MP3 store for the iPhone and iPod touch. For the first time iOS users can purchase music from Amazon's 22-million song catalog using the Safari mobile browser. If you'd like to access Amazon's MP3 store, you can simply go to http://www.amazon.com/mp3 on your iOS device. Music purchases are saved directly to Amazon's Cloud Player, so users can sync it and use it with multiple devices including iPad, Kindle, and an Android phone or tablet. You may be wondering why Amazon didn't decide to make an app for this. If Amazon had sold their music through Apple's App Store, they would have had to give 30% of each sale to Apple, but by offering it through their mobile optimized website they don't have to pay any fees.